In this weeks video, Jamie covers a lot of ground. Has the Vancouver Real Estate Market bottomed out? What happened in the Market last month and what you can do to sell your home for the best price in this bubble market. Many years back, right after Ronald Regan got out office, I by fluke had the opportunity to hear him speak in May of 1988. One of the things he spoke about always stuck with me. He came on and said “The best part about not being president anymore, is now I can tell you exactly how I feel”. This is why I love doing these videos. It is of no benefit or advantage for me to not sit here and tell you the exact truth and tell you how I feel. We are going to talk about March of 2019. The statistics that have just come out a few days ago show that the March sales total was the lowest March in 33 years, since 1986. Things were different in the ’80s. In March of ’86, interest rates were down to 11% for a 5-year mortgage at that point. They had reached a high in June of 1981, just a few years earlier, of 21.75%. Imagine that. That was kind of the mood of the market, and the market was still recovering from the crash in the early ’80s. You’ve been reading and seeing that we have the worst number we have seen in decades, but there is some good news to these numbers once you’ve dissected them and read through them. Many homes are still selling quickly, and selling with multiple offers. Now how can that be, when the market conditions are so terrible? I just want to go through some of these statistics with you first to help you understand. Let’s start with the list to sell ratios. The real estate market says, if more than 20% of the homes sell, it is a seller’s market, which we saw for detached houses in 2012-2016 and pretty much everywhere in the Lower Mainland. They were all above 20%, and even 40% ,50%, and upwards of 70% in some areas. Now, the stats for Ladner for March are 9%, East Vancouver and Westside are 7%, and Richmond is 5%. That gives you like a 1 in 15 or a 1 in 20 chance of getting your house sold each month. However, when you go in and look a little deeper, there have been 11 houses on the Eastside of Vancouver, during the first quarter, that sold with multiple offers. There were 18 on the Westside, 6 in Richmond and none in Ladner. How is it that some of these people sell right away, and some of them sit on the market forever? That’s what I would like to try and help you understand today. Let’s take these numbers a little further. Of the 11 houses that sold on the Eastside of Vancouver with multiple offers, they also only took, on an average, 17 days on the market to sell. There have been 133 houses sell on the Eastside, so 11 out of the 133 (about 8 or 9%) sold with multiple offers. These ones sold in 17 days. The average house on the Eastside took 44 days to sell. Almost all of the ones that took 44 days to sell all sold below their asking price. There are a million buyers out there right now. The buyers can sit back and pick out the prime gems of the properties that they want to purchase. It’s not like before the foreign buyer’s tax came into play, that when you went into a house, you had to make a decision pretty much right away. Over the past week, I have had 2 groups come back for second and third viewings at 2 of my listings and I never saw an offer out of them after they viewed it 3 times! Another 3 or 4 groups came 2 times, and I also never saw an offer out of them. Buyers have no sense of urgency until they see the right listings. There was a house on the Eastside of Vancouver, back in January that received 43 offers and sold 40-50% above the asking price. This tells me that there are lots of buyers out there. That’s what these multiple offers on the right listings tell me as well. 18 houses on the Westside have also sold with multiple offers. There are lots of buyers out there and at some point something is going to motivate them to start buying which will turn the market around. There is talk about the stress test being reduced to maybe 1% or even being done away with altogether. Also, there are talks of interest rates being dropped when the bank of Canada meets on the 24th. So the combination of those two things could jump-start the market. Another thing interesting about the statistics: The Eastside of Vancouver (at the time of filming this video) has 652 houses for sale. Westside has 689, Richmond has 833 & Ladner has 111. These are all almost double the usual spring listing count. Inventory is rising and there are way fewer sales so that obviously has an impact and that’s what takes the pressure off of buyers. What’s really interesting, is that 90% of the homes on the market everywhere, are not going to sell at the price they are currently listed at. How do I know that? It is by looking at the average days on the market in each area. The Eastside was 44 days, with the median days being 18. Of the 652 listings, 90% of them have been on the market longer than the median and the average. So unless they drop their price, they are probably not going to sell. The bulk of sellers have not accepted the new reality. They want to get 2016’s price for their home in 2019, and that’s not going to happen. The people who are accepting reality are the people who got multiple offers on their home. They priced their homes in accordance with today’s market, and some priced even a little under. Those sales are showing us that there are buyers out there. I have 3 listings here from the Eastside that I just pulled out, and these are the 3 worst-case scenarios, which are going to be my example today. One has been on the market for 974 days. They were originally listed for over 5 million, and they’ve raised their price actually during this 974-day period. This makes absolutely zero sense. Their house has probably de-valued 15-20% during that time and they are still asking that price. The next one is a house that has been on the market for 358 days. They are listed at the same price that they were a year ago. The market has gone down 12% in the last year, so they’ve lost $150,000 in the value of their home, yet they continue to list at the same price. Finally, the 3rd one has been on the market for 341 days and it’s been on the market at the exact same price. These people are not listening to what the market is telling them. The market is telling them that we are not going to accept it at that price. I also want to talk about how a realtor looks at a listing, and how a member of the general public looks at a listing. Let’s say my buyer Joe Smith says, “I would like to see this listing”. The first thing I do is go on the MLS and I pull it up. I don’t look at the price, which is the first thing a buyer probably would look at. The first thing I look at is the days on market. I know that the average selling time is 44 days, and I see that this has been on the market for 341 days. Then I look at the current price and see it’s at $1,500,000. I then look at the original price to see if it has dropped at all. I want to know if there is any motivation level with this seller who has had their home on the market for a year. I already know the answer. There probably isn’t any since they are listed at the same price. I am definitely not interested in showing it to my buyer, and I am going to explain that to the buyer beforehand. The seller is probably very flush and stubborn. Why don’t I want to show it to my buyer? My buyer is going to get disappointed. If the listing is worth $1,200,000, they are listed at $1,500,000 and we write an offer for $1,100,000, the seller is not going to be interested and my buyer will end up being upset with me. It is always the buyer’s agent’s problem. So I definitely do not want to disappoint my buyer. Most times realtors do not have contracts with buyers, and if we don’t have a contract with a buyer and they are disappointed then I have lost someone who wants to buy real estate. I am explaining all this to sellers, to try and show them how to get inside the realtor’s mind. Nowadays when we market your home, we are more or less marketing to the realtor’s, then to the general public. 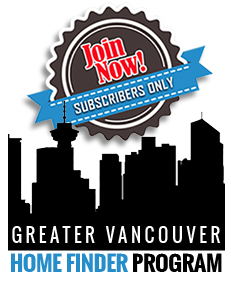 We want to get the realtors excited about selling your home. You are not going to get realtors excited if you have an over-priced listing. Realtors want to sell homes that have recently come onto the market, are priced fairly, and they know it is not going to be a blood bath during the negotiations. They want to know they are going to be able to get their buyers a home in which they consider to be good value. The seller controls the flow of traffic going into the home, not the realtor. How can that be? Well, that is because 80% of the job of marketing your home is done through pricing. There are 3 things that are important: price, presentation, and marketing. I give the price 80%, presentation 10%, and marketing 10%. When you price your home aggressively, at market value, or maybe even a little bit below market value, then you’re going to get other realtors and buyers excited to show your home. When you’ve been sitting on the market for 356 days at the same price, this is not going to excite anyone to show your home. What happens typically with homes that have been on the market a really long time is that people start to grumble and say, “My realtor is not doing his job, he’s not getting my home sold”. Well, the home is on the Internet because the MLS is on the Internet. The whole world knows your house is for sale at that price. And what the whole world is telling you is that they are not interested in this price. Let’s say I was going to sell my car on craigslist, and I’ve had my car on craigslist for 6 months and its not selling. I get frustrated with myself that it’s not selling and I ask my friend Randy to put it on Craigslist at the same price. Does it make any difference? No, it doesn’t matter who posts it on the Internet, it is the exact same thing. All 7 billion people who have access to it are telling you they are not interested. If you are changing agents, change your price at the same time. In defense of real estate agents, it’s probably not their fault (well maybe it is because they didn’t have the courage to tell you that you overpriced your house), but that’s why your house isn’t selling. That is all the bad news. Let me throw you a bone and give you a little bit of hope here. There is an abundance of buyers out there who just need something to kick-start themselves. 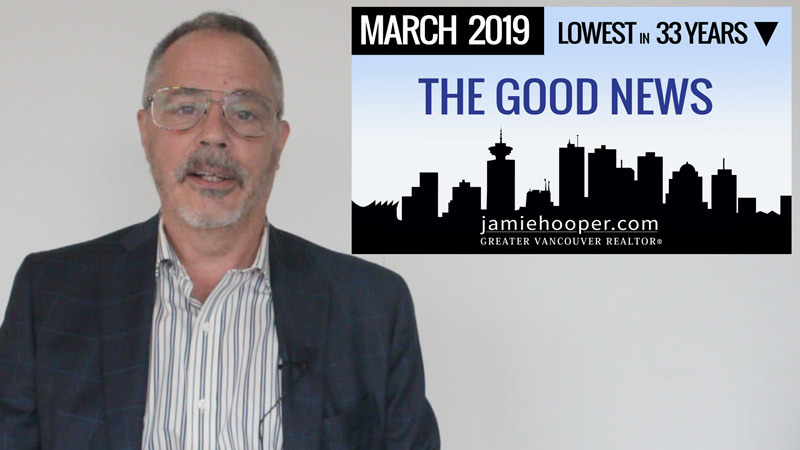 We have the possible stress test relief, possible interest rate drop, and the fact that Vancouver real estate has been good to a lot of people over the last decade and they have made a lot of money buying and selling real estate. I think that there are a bunch of buyers who want to make some more money and all they are doing is waiting for this market to bottom and I think we could potentially see things pick up around here. I want to leave you with one more closing thought by a very intelligent moneyman named Warren Buffett who said, “Be fearful when others are buying, and be buying when others are fearful”. When the financial meltdown came along in 2008 with the US banking crisis, the DOW was at 8,000 points and lots of smart people I know were buying in at 8,000 points and got their money back when it was up in the 20,000 range. It doesn’t make any sense to want to buy when the market is hot and on the way up! You want to buy when the market is low.